Pro-Line has had a pair of two-piece Comanche shells for a while, and now you can get the same look from a single piece of Lexan. Like the previous versions, the new one-piece shell is designed specifically for 12.3″ wheelbase rigs. 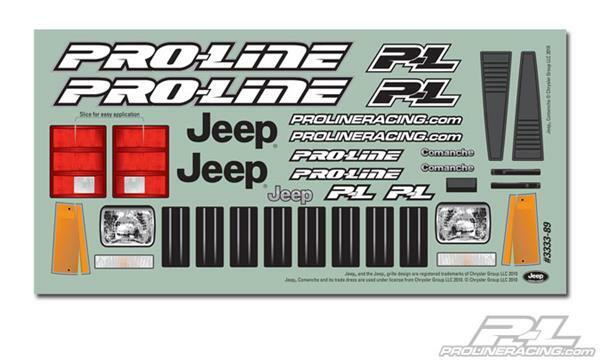 As usual for Pro-Line, it’s made of genuine GE Lexan (as opposed to McGillicuddy’s Old Fashioned See-Through Magic Plastic), and includes overspray film, window masks, and a detailed decal sheet for a fast and easy finish. 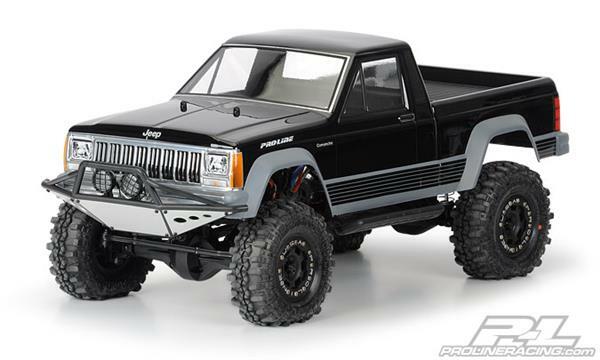 This is the Pro-Line Jeep® Comanche Full Bed 12.3″ Rock Crawler Body. Jeep® fans rejoice! 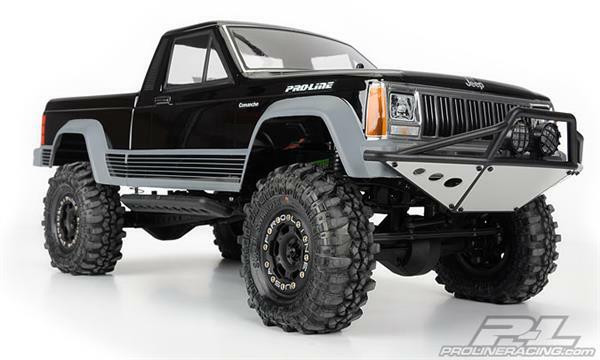 Pro-Line is pleased to announce the release of the 1982-1992 Jeep® Comanche one-piece body for 1:10 Scale and Crawler rigs (12.3″ wheel base). Again, with over the top detail, Pro-Line brings another iconic crawler back to life for the 1:10 Scale Builders. This Jeep® Comanche body is constructed out of a single piece of high quality Lexan, so you don’t have to mess with multiple body pieces. This gets you out crawling faster! 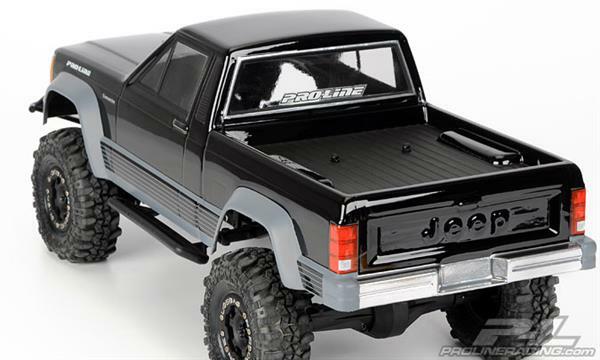 Don’t forget to submit your finished Pro-Line Jeep® Comanche body to Reader’s Rides when you are done. Who knows, you could get your ride posted on the blog and you could even win a prize!